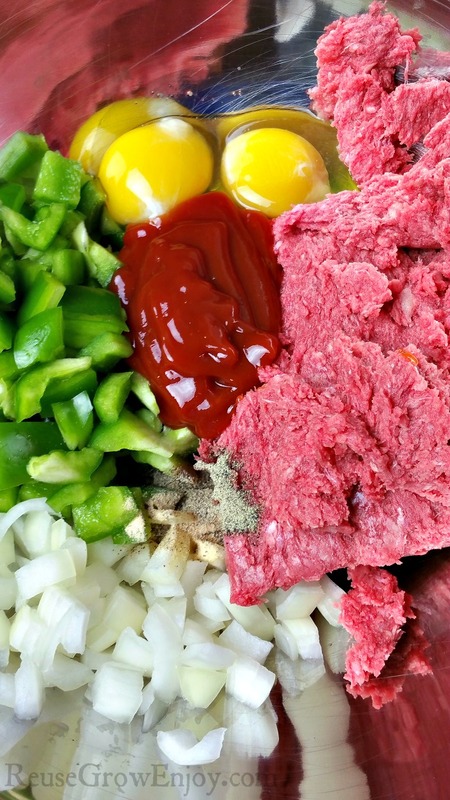 Looking for a good Whole30 meatloaf recipe to try? 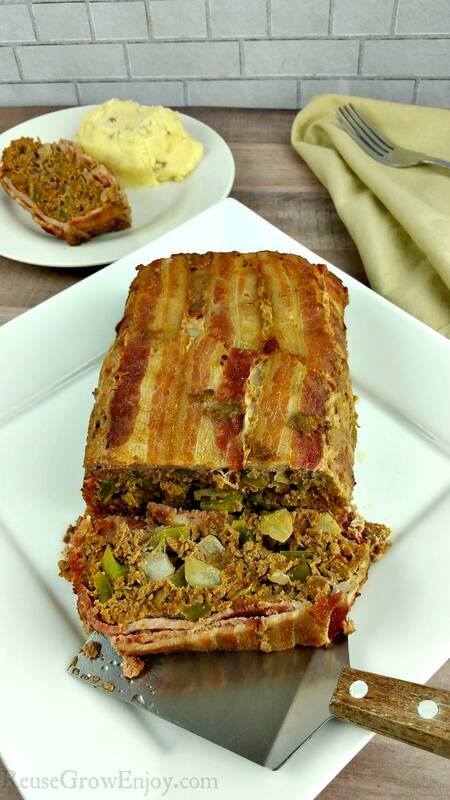 This bacon wrapped Whole30 meatloaf recipe is a must try! 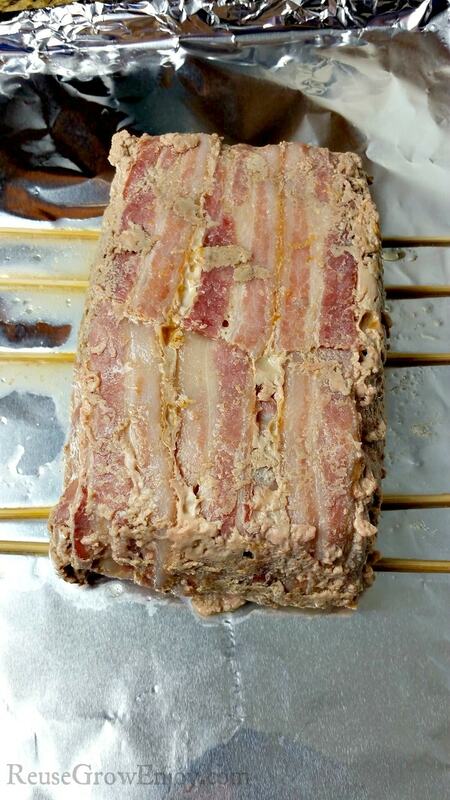 I would have never guessed that this would take meatloaf to a whole new level. 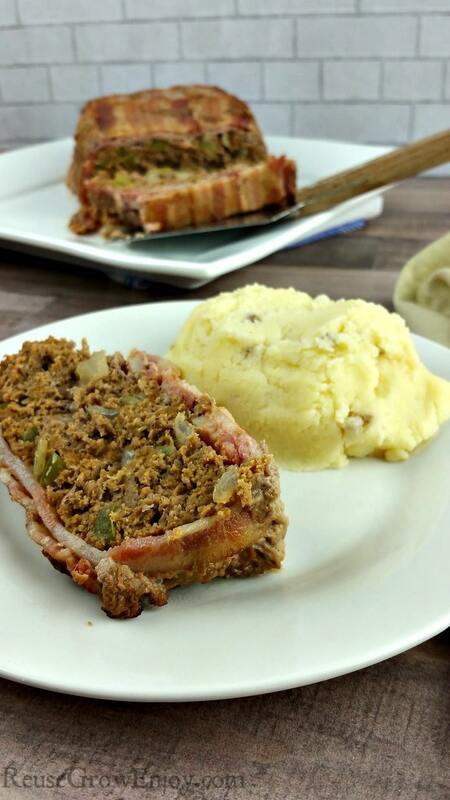 Meatloaf is one of those go-to meals that make for a great dinner. 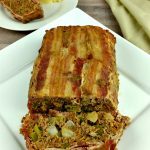 If you are doing the Whole30 diet and looking for a new recipe to try, be sure to try this bacon wrapped Whole30 meatloaf recipe. Not only is this a Whole30 recipe, but it is also Paleo and Keto. As well as gluten-free too. 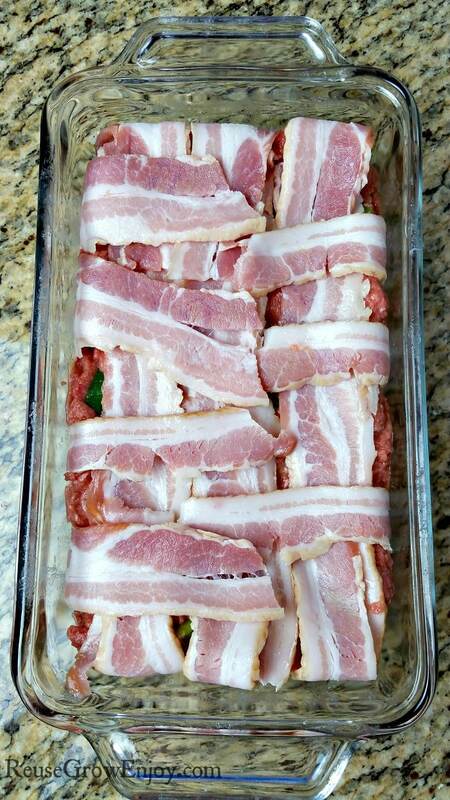 When making this bacon wrapped Whole30 meatloaf, just be sure you read the label of your bacon. There are not too many on the market that can be eaten on the Whole30 diet. But if you look around, they can be found. The first thing you need to do is line the loaf pan with bacon. You want the bacon to hang slightly over the sides of the pan. That is because you will be folding those ends over the top of the loaf. 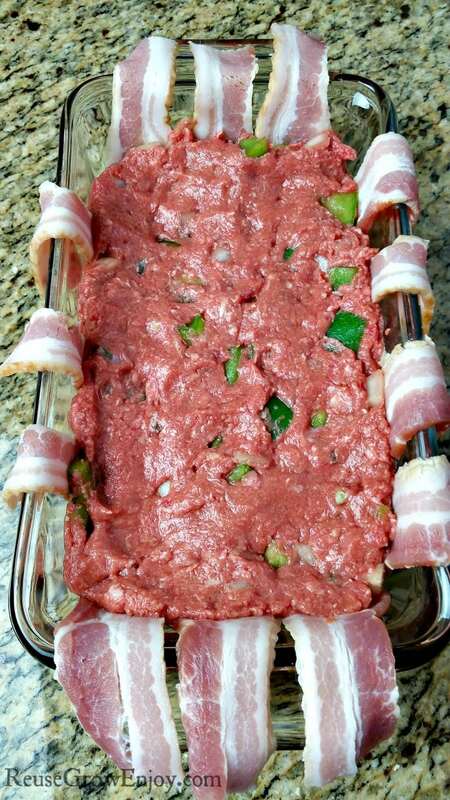 Next, add the meatloaf mixture into the loaf pan overtop the bacon. Then lay a few slices of bacon over the top of the loaf. After you have added a few extra slices, you can then fold those pieces hanging over the side on to the top of the loaf. Cover the pan with a small piece of foil. This will help keep grease from getting all over the oven. Place in the center of the preheated oven and bake for an hour. Then remove from oven, carefully place the loaf on a cookie sheet. I lined mine with foil as well as placed a few wooden skewers on it. I wanted to make sure I could drip as much grease off as I could. After you have your loaf on the cookie sheet, place it back in the oven and bake for another 15-20 minutes. This is to crisp up the bacon. If you like super crispy bacon, you can keep in even a little longer. Just make sure you keep an eye on it. When the bacon is done crisping, remove from the oven. Allow it to sit and rest for about 5-10 minutes before slicing the bacon wrapped Whole30 meatloaf. If you don’t want to search the stores for Whole30 ketchup, check out my post for DIY Whole30 ketchup. You can also order it online too. If you liked this bacon wrapped Whole30 meatloaf, here are a few others to try. Line glass loaf pan with bacon. Make sure to leave a little hanging over the edges. Hold back a few slices to place on the top. Mix everything else in a mixing bowl until well blended. 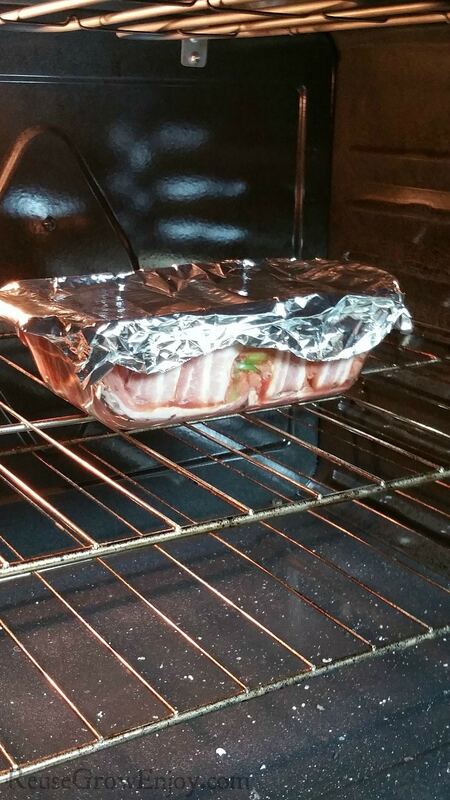 Then place it in the loaf pan on top of the bacon. 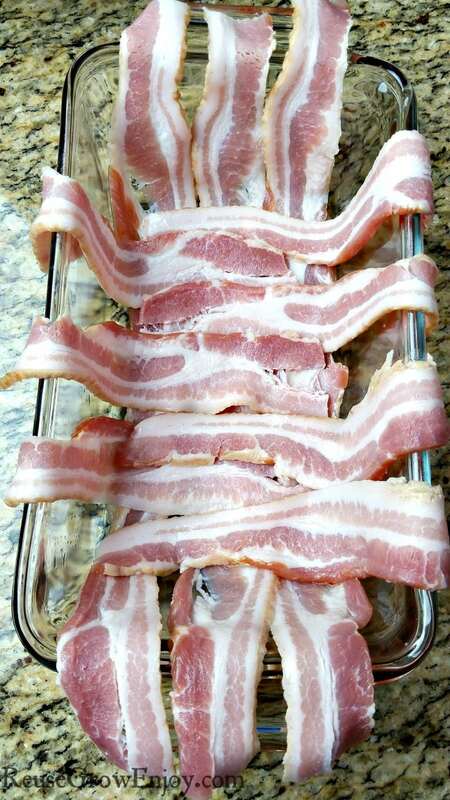 Lay the few slices you have left of bacon on the top. Then fold the edges of the bacon hanging over the pan onto the top of the meatloaf. Cover the pan with a piece of foil and place in the center of the oven. And bake for one hour. After the hour, remove from oven and carefully place the loaf onto a cookie sheet. I use a foil covered sheet with wood skewers. There will be a lot of liquid in the pan. Place back in the oven for another 15-20 minutes to crisp up the bacon. Remove from oven and allow to sit for 5-10 minutes before slicing and serving.